Upon download, Rayquaza will be at Level 70 and holding a Dragon Fang. It knows the moves Dragon Ascent, Dragon Claw, Extreme Speed, and Dragon Dance. 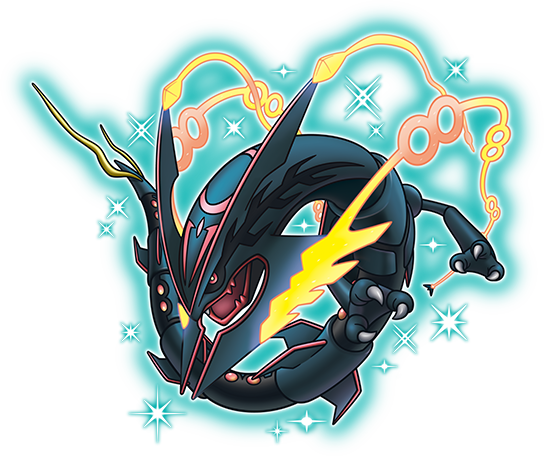 This event is special because Dragon Ascent is a move necessary for Rayquaza to mega evolve. To download, turn on your 3DS console and start your Pokemon game. At the main menu, select ‘Mystery Gift’, then “Receive Gift”, and finally “Get via Internet”. With a blank spot in your party, visit the Delivery Girl at the nearest Pokémon center to receive your shiny Rayquaza! This event distribution will run from August 12, 2015 to September 14, 2015.